The International Monetary Fund’s now much maligned Structural Adjustment Programmes rolled through Africa in the late 1980’s, liberalising markets, trimming the reach of the African state and re-orienting the continent towards the prevailing market economic status quo. A key aspect of these interventions was the privatization of state enterprises. 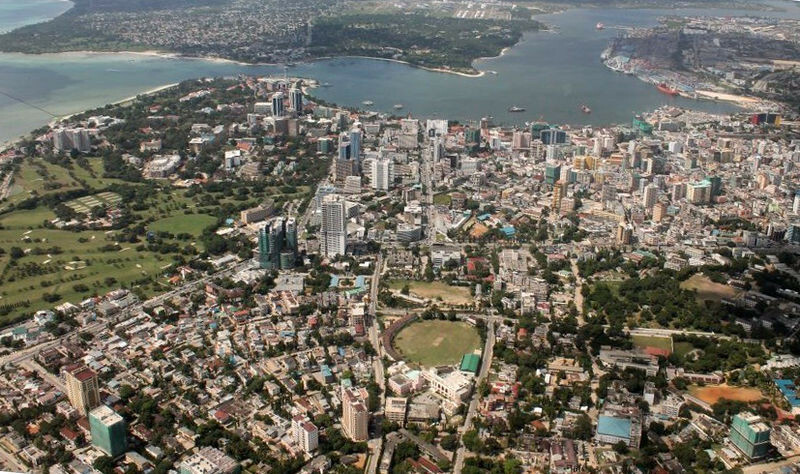 Tanzania’s long experiment with ‘African Socialism’ under Julius Nyerere came to an end in 1987 with the implementation of an IMF Economic Recovery Program that brought these reforms to bear on its struggling economy. It was in this climate that Tanzania’s first independent power producer, Independent Power Tanzania Ltd (IPTL) was established to construct a power plant, as a partnership between VIP Engineering and Marketing, a Tanzanian company, and Mechmar corporation, its Malaysian partner. The resulting deal, like so many at the time, was marred by corruption, fraud and theft as VIP’s foreign partner’s allegedly moved to extract huge sums of money from the company, at the expense of VIP and the Tanzanian people, precipitating what was recently described as a “20 year-long nightmare”, littered with scandal and litigation. As another example of mismanagement and corruption at the expense of an impoverished people, this story is perhaps unremarkable on the continent. However it is instructive, taking recent developments into account, when one considers the persistent issue of illicit financial flows from Africa and the role of foreign courts in what are arguably domestic issues. The United Nations Economic Commission for Africa estimates that illicit financial flows from the continent “could be as much as $50 billion per annum”, an amount “approximately double the official development assistance that Africa receives”, severely impacting development and the continent’s governance agenda. Thabo Mbeki, former president of South Africa and chairman of an African Union & ECA ministerial panel on illicit financial flows from Africa states in that panel’s report on the issue that “large commercial corporations are by far the biggest culprits of illicit outflows, followed by organized crime.” This, he says, “should be understood within the context of large corporations having the means to retain the best available professional legal, accountancy, banking and other expertise to help them perpetuate their aggressive and illegal activities.” African institutions are ill-resourced to counter the sophisticated strategies used to move money out of the continent. The issue of IPTL is thus brought into relief due to ongoing international legal action around the treatment of its disputed credit. During the course of the deal “fictitious debt” was allegedly “oppressively foisted upon IPTL” by Mechmar corporation and Malaysian banks, resulting in the foreign parties fraudulently becoming creditors of IPTL in a bid to extract funds from the company. This debt was subsequently sold to Standard Chartered Bank in 2005, in full knowledge of the precariousness of the situation, the allegations against the Malaysian creditors, and the ongoing investigations into the issue. In an effort to recover their money (c.$260m, on a disputed loan initially worth $84m), the bank have now turned to the High Court of Justice in London. IPTL’s Tanzanian partners maintain that the loans were fraudulent and that Standard Chartered therefore have no claim against the company, and thus VIP and the government of Tanzania. Legal proceedings are underway in Tanzania, and whilst slow, there is no reason to believe that they have been compromised. One wonders then if this action in a court in England is a legitimate attempt to resolve a claim in good faith or, true to Mbeki’s pronouncement, a strong arming tactic in a bid to secure the flow of funds out of Africa. Standard Chartered’s code of conduct expects compliance with “the spirit as well as the letter of all relevant legal and regulatory requirements”— for a bank with a new leadership trying to tighten up its operations and improve its reputation, one hope’s it is the former. A great deal needs to be done if Africa is at last to reach its full potential and its people are to benefit from the continent’s resources and the growth of its economies. The sights of those concerned with Africa’s reform ought to be trained on the tide of wealth annually fleeing the continent, often the result of corruption, frequently due to unscrupulous business practises and indisputably bad for the continent’s development prospects. Lewis, P., 1990. Nyerere and Tanzania – No Regrets at Socialism. New York Times. Available at: http://www.nytimes.com/1990/10/24/world/nyerere-and-tanzania-no-regrets-at-socialism.html [Accessed September 2, 2015]. Schäfer, M. ed, 2015. Micro Perspetivves for Decentralised Energy Supply: Proceedings of the International Conference, Available at: https://opus4.kobv.de/opus4-tuberlin/files/6281/mes_conference_2015_proceedings.pdf. The United Nations Economic Commsission for Africa, 2011. IFF Background. Available at: http://www.uneca.org/pages/iff-background [Accessed September 2, 2015]. Panel ofthe AU/ECA, 2011. Report of the High Level Panel on Illicit Financial Flows from Africa Commissioned. AllAfrica.com, 2014. Tanzania: IPTL Owns “All” in BoT Escrow Account – Claim. allAfrica. Available at: http://allafrica.com/stories/201410150384.html [Accessed September 4, 2015]. Standard Chartered Bank, Standard Chartered Group Code of Conduct. Available at: https://www.sc.com/en/resources/global-en/pdf/sustainabilty/Code_of_Conduct.pdf.